When we get a promotion, or a job at another organization, most of our thinking is understandably about the opportunity we have in our new position. What we don't think about is what it means to be new. This may present some challenges as we move into a different role. How can we prepare for this? It is important to think about the next job even before you take a new position. Try to develop an understanding of the position and how it is seen by administration. Think about those individuals who will be evaluating you in your new role. Hopefully, you bring with you some administrative experience, whether as a supervisor, department head, leader of important teams or some other role where you have to come into a wider range of people beyond those you work with or supervise. Ideally, you bring some experience from your previous organization(s) as well. Part of the reason you were hired may be to make some kind of changes to the position, or to your part of the organization. Remember that while some people you are dealing with are excited about your hiring or promotion, there are others who may be less enthusiastic. They might have applied for the position you now occupy, or they may be concerned about the changes in store and how these may impact them. Try as much as possible to follow the principle, "Seek first to understand." You need to understand the organization culture in order to fit in. Failure to do so will probably lead others to think of you as lacking self-awareness, and worse, possibly as arrogant and egotistical. Even as you try to contribute, you will be observed by others (many of whom have been there for decades) in terms of your own "fit" with the institution. The most common advice when you are new is to plan out your first 100 days or more, forming a plan with ideas for action. This is a good thing — it is far better to have a plan than none at all. But whether you are thrust unexpectedly into a position of leadership, or have been waiting a long time for this opportunity, it is important to anticipate the situation and understand the organizational context before you try to impose your agenda. This may involve asking questions of those in higher positions who have been with the company for a while. It may also involve listening to peers in other departments as well as those you will supervise. Try to observe the differences between those at different levels, and get a sense of the communication patterns here. It is important to understand the cross-currents you are stepping into. As you make your way within the administrative ranks, you will find a number of things you can see which might be improved. Try to resist the temptation to comment or to give specific prescriptive advice, based on "how we did it" at another place. People will not generally appreciate your attempts. They may see it as an evaluation of something they are doing wrong and get defensive, or they might see you as an opinionated busybody who will be difficult to work with in future. You need to be especially careful in managing up in your new situation. You are constantly being evaluated by others on the administration team and need to be careful to listen and sound them out. Find out what their priorities and pet projects are, and be thoughtful yet neutral in your responses. Try to find common ground and build up some rapport, rather than handing out judgments or suggestions for improvement. Once people see you as helpful, rather than a potential threat, you can begin to make a positive contribution. The world needs encouraging managers and leaders, and people who can get things done. Just be sure when you are new that you convey your benevolent intent, and have a clear understanding of what you bring to your position and what you can expect from those around you. 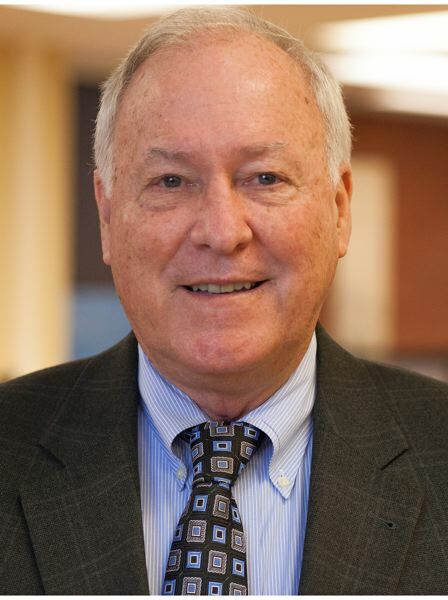 Jim Goodrich is dean of the Pacific University College of Business. Founded in 2013, Pacific's College of Business offers bachelor's and master's degrees in business administration.